* Become part of a reactive, living and vast open world. Explore many different environments, fight all kinds of fantastical creatures and discover tons of desirable items. 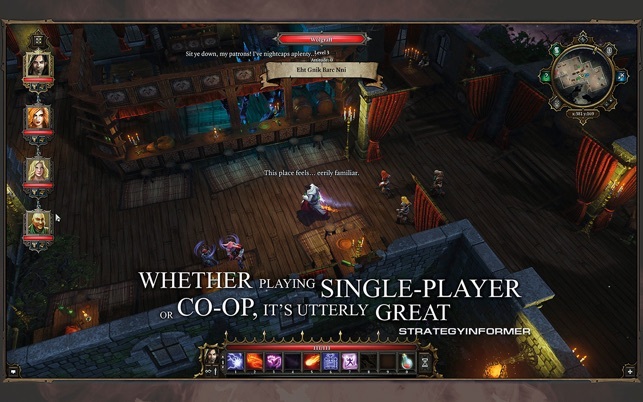 * Experience gripping party- and turn-based combat. Manipulate the environment and use skill & spell combos to overcome your many foes: Use magic to make it rain on your enemies, then cast a lightning spell to fry them to a crisp. Experiment with different skill combinations to ruin the day for enemies and townspeople alike. * Play with a friend in co-op multiplayer. Make decisions together (or disagree entirely), as your interactions and relationship with your partner influence the game. 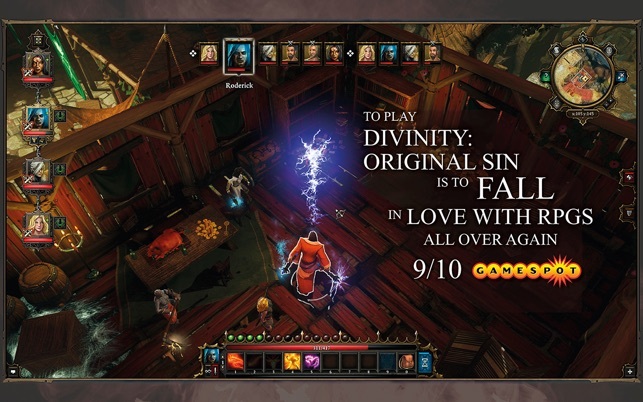 * Unravel a deep and epic story, set in the early days of the Divinity universe. 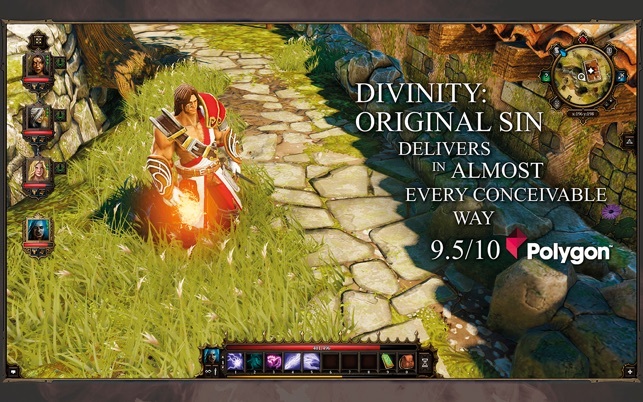 No prior experience with other Divinity games is necessary, however. 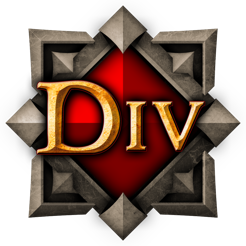 The game takes place well before its predecessors, Divine Divinity and Divinity II: The Dragon Knight Saga, but will still feel familiar to fans. * Classless character creation lets you design the character of your choice. Endless item interaction and combinations take exploration and experimentation to another level of freedom. 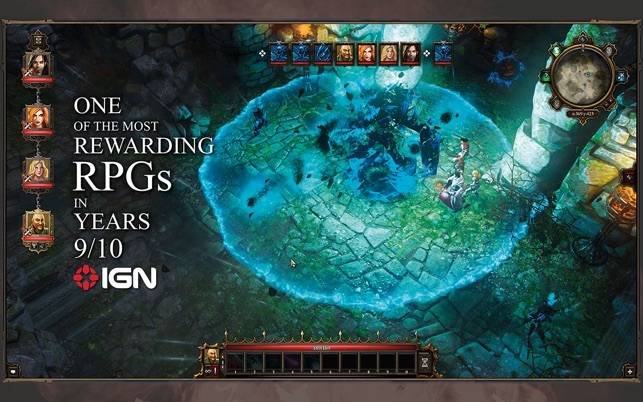 To access the Divinity: Original Sin manual, press the 'Command' button and select 'Help,' then 'Application Help'. 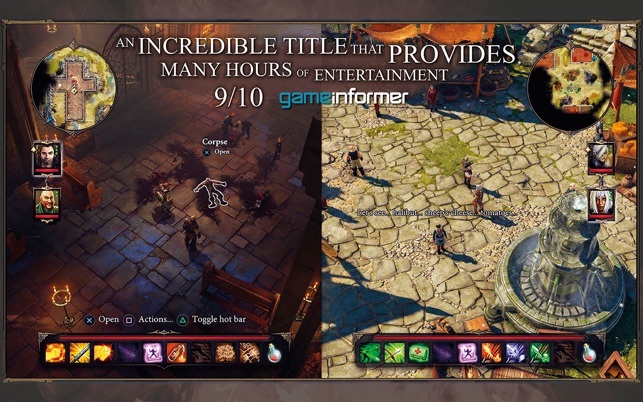 © Larian Studios Games Ltd.